By Leah Dobrinska. Jul 6, 2018. 9:00 AM. Decision Points was published in 2010 by Crown Publishing Group. In President Bush's own words, he took an unconventional approach in writing this memoir. He focused on detailing the thought process behind his decisions—decisions to marry, decisions to run for president, decisions to send our nation to war, and so on. What results is a fascinating look at the pressures and influences which impacted George W. Bush's actions. The book surpassed Bill Clinton's My Life as the fastest presidential memoir to reach sales of two million. Decision Points did so in less than two months. Many critics praised Bush for his honesty and his candor; however, critics—some of whom are cited in the book—claim certain statements are false and that President Bush doesn't have much skill as a writer. Either way, the content and the insight provided in Decision Points makes it a worthwhile collectible for anyone interested in U.S. History, presidential history, or human thought and decision making in general. The video below is President Bush's description of the book, in his own words. 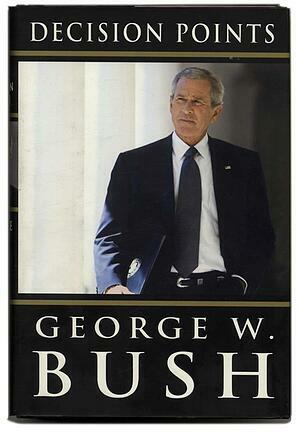 Interested in other titles by former President Bush? He recently published Portraits of Courage: A Commander in Chief's Tribute to America's Warriors (2017) which includes paintings by Bush himself as well as stories he's written to honor the veterans he's met. Previously, Bush had turned his focus to his father, honoring George H.W. Bush in his book 41: A Portrait of My Father. Beyond George W. Bush, numerous former presidents have written memoirs and other stories of their time in office. Below is a collection of some of our favorites.